Consuelo Rockliff-Stein - Cole Schotz P.C. Consuelo Rockliff-Stein has worked in law firms for 35 years and has been a technology trainer for more than 20. She is currently the Legal Technology Trainer at Cole Schotz P.C., where she designs and delivers live, distance, and recorded technology training. Consuelo is a passionate SME in Excel and enjoys all aspects of technology training delivery and documentation. She is currently looking forward to managing the Firm’s rollout training for Windows 10, Office 2016, and BigHand. In her spare time Consuelo enjoys less technical pursuits, such as sewing and knitting, reading 19th Century sensationalist literature, and watching British mystery TV. Carol Gerber has a long and storied career in legal technology. Carol holds a J.D. degree from the University of Pennsylvania Law School and a Masters in Education from Teachers College, Columbia University. Carol has been a Trainer, a Project Manager and a Business Analyst in large and small law firms in New York City. In each of these positions, she has used her experience as a practicing attorney to help firms deliver better products for their users. When not commuting, Carol enjoys cryptic crosswords and is learning Japanese. Karen Kolb is a Training Manager at Davis Polk and Wardwell LLP. Karen’s career experience includes 20 years in technology sales, training and consulting, coordinator, and manager. She’s enjoys interacting with others, solving problems and keeping people motivated to learn in this age of mobile distraction. Karen has a BBA in Marketing Management and an MS in Education Technology. In her spare time, she enjoys cooking, travel, theater, history and all areas of fitness including running and barre/yoga. Zuleika is a Sr. IS Training Specialist at Paul, Weiss, Rifkind, Wharton & Garrison LLP and has been with the firm for 17 years. Her first three years at Paul, Weiss were spent on the Help Desk and she has been training ever since. Zuleika is involved in all aspects of Technical Education; classroom/distance learning, technical writing, desktop publishing, video production, instructional design and more. Zuleika enjoys spending time with her family, running, and relaxing at home. Fun Fact: Zuleika has only ever worked for Law Firms since she was 15 yrs old! 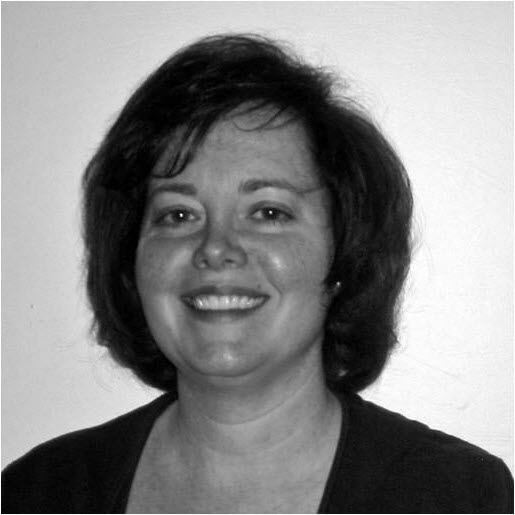 Ellen has been a Microsoft Certified Trainer since 2013 and has worked as a trainer in the legal field since 2004. Prior to that, she did training and management in the clothing, banking, and food services industries and even longer ago she was a research scientist in various states and countries. Her former roles on the Board of PLTG were Co-Vice President/Secretary in 2014 and President in 2015, and she loves the collegiality of this group and the fun of meeting and discussing with people who really get what it means to be a trainer. 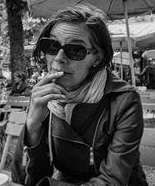 Ellen loves to travel and she is an oil painter by avocation. In addition to working with firms such as Heller Ehrman and Weil Gotshal, Moji has also worked with companies in various industries such as the Blue Man Group, People Magazine, and Goldman Sachs. 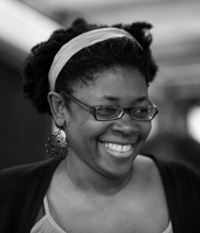 Even though Moji started as a computer engineer at Lehigh University, her eventual theatre degree and minor in computer science foreshadowed a flourishing career in technology training. Mojisola Shabi hails from Brooklyn, NY, likes listening to British radio shows and makes short films. Linda Harte is our “Treasurer Emeritus” for the past 16 years of the 19 years that she is a member of PLTG. Although she has been retired from the workforce for the past few years, Linda continues to fulfill the Treasurer position, carefully watching over PLTG funds. Over Linda’s career, she has held positions of Supervisor Word Processing, Operations Analyst, Systems Manager in several New York Law Firms, and lastly, for 10 years with Unilever United States, Inc. Law Department as Office Manager and Systems Administrator. All this from a girl who graduated college with an art degree and prepared to teach art in public schools! 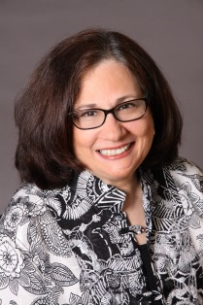 Roberta Gelb, President of Chelsea Office Systems, Inc., is a well-known professional, having established authority on productivity, software and office systems solutions for law firms and businesses. She has substantial expertise in systems design, implementation, training and the "people factors" associated with effective use of technology. In 1984, Roberta founded Chelsea Office Systems, a unique software consulting and training company that provides custom productivity recommendations, applications programming and development, education, and on-site training and support to law firms and corporations. In addition to belonging to numerous legal industry groups, Roberta is extremely active in the community, volunteering with SHARE Cancer Support; serving on the Board of the NY State Breast Cancer Network and the Scientific Advisory Board of Consano, and volunteering for animal rescue programs.